You are here: Home / LIFESTYLE / Your Money / What is Forex Trading and How Can You Get Started? 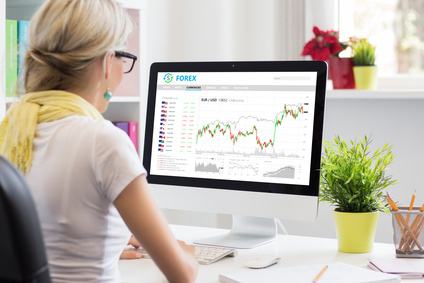 What is Forex Trading and How Can You Get Started? Are you still under the belief that the concept of sustainable income is far beyond your reach? Do you assume that those who make money have access to a crystal ball or an expensive wealth manager? Not only are these observations outdated, but they are just plain wrong. There are many methods at your disposal, which can provide you with a financial edge and the first step towards realising their power is by appreciating the options at your disposal. One popular method is to trade currency pairs. This is often referring to as Forex trading. Let’s peel away the layers of this concept so you can make an informed decision. What is Forex trading? Simply stated, this strategy involves predicting the movement of one currency in relation to another. Common choices include currencies such as the dollar, the euro, the pound and the Japanese yen. The reason why this is such a powerful method of trading is due to the relatively short-term nature of the positions themselves. It is possible to execute a trade within only minutes. So, it is just as reasonable to assume that profits can be generated quickly. This is referred to as “liquidity”. Liquid marketplaces are associated with higher turnover rates and greater degrees of daily volume. In terms of sheer popularity, it is thought that the Forex is 12 times larger than the total size of the global equity markets. We should still note that greater levels of liquidity are normally associated with higher levels of risk. What goes up can and will come down; often in a matter of hours or even minutes. This is the primary reason why those who are just starting out tend to lose money. If these losses continue, traders could very well be turned off to any future possibilities. But, how can you avoid this scenario? Many experts observe that the biggest problem revolves around failing to cut losses. To put this another way, beginners lose more money on negative trades than they gain on profitable positions. This is an unsustainable situation. If you note that a trade starts working against you, it is much better to cut these losses at an early stage as opposed to waiting for a turnaround. This will limit your exposure and you will still be able to capitalise upon positive movements. Every journey begins with the first step. If you are hoping to enter into the lucrative Forex industry, you will first need to perform an adequate amount of research. Follow the latest news stories and subscribe to major FX information portals. In the same respect, always be sure to choose a reliable online trading platform. This consideration should not be taken lightly, as your success will ultimately depend upon the investment tools at your disposal. See what others may be saying in order to make an informed decision. The ability to tap into the liquid nature of the Forex marketplace cannot be overstated. With time and foresight, you could very well be aligning yourself towards a very profitable future. Still, be aware that losses are also a part of the learning curve. Taking these events in stride will provide you with the momentum required to rise above the masses.